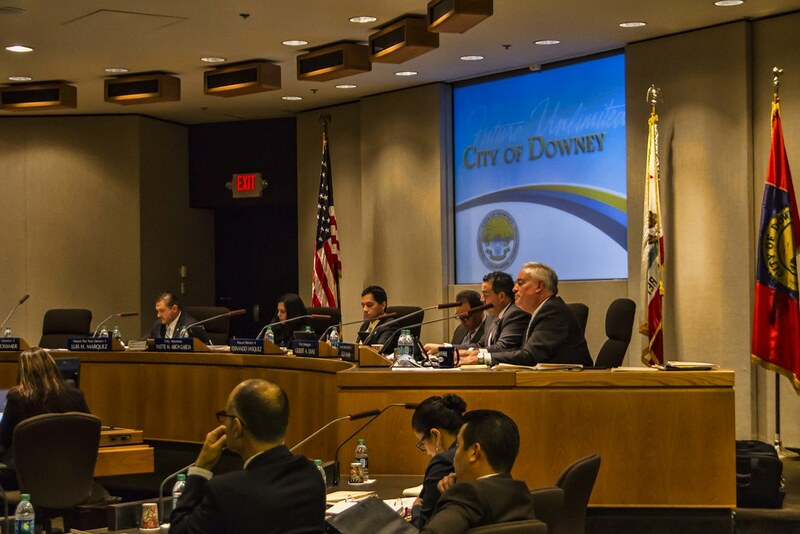 Tonight was the City of Downey Council Meeting. 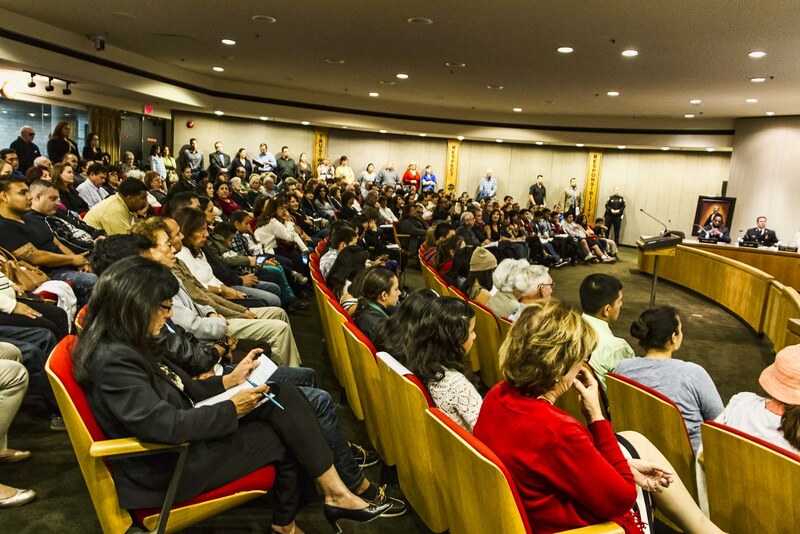 It was Mayor Fernando Vasquez's first meeting as mayor and it was standing room only. Awards were handed out. 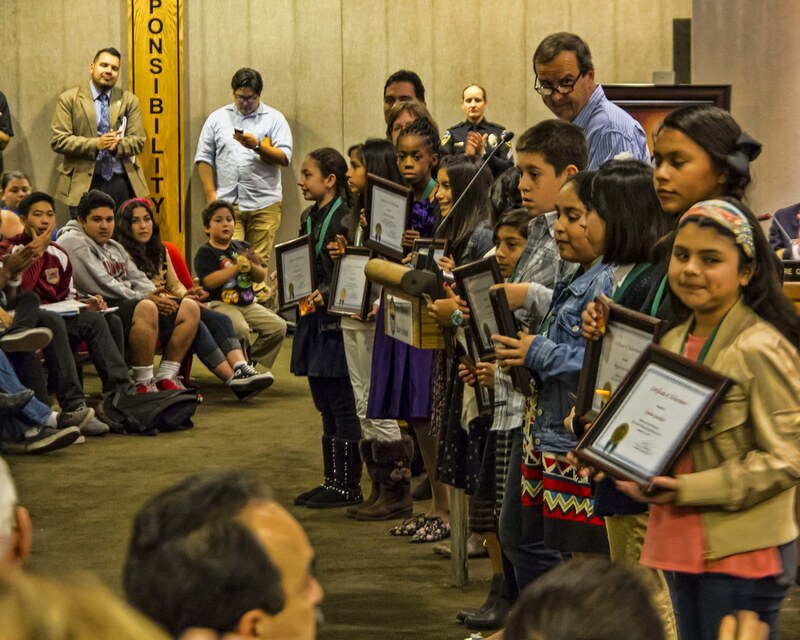 Some of the honorees: the Downey Rose Float Association, local school kids who had won an art contest (the pictures will be featured in the Patriot), the previous board members from Downey Community Hospital. Then came the agenda items. We were attending the meeting to support the DMOA (Downey Museum of Art). The council was scheduled to decide between the DMOA and a proposal from the YMCA for use of a building located in Furman Park. The council decided to pursue the option using the YMCA's proposal for the Furman Park location and to work toward getting the DMOA a site closer to Downtown Downey. The decision was made around 11:30pm... and the meeting went on until after midnight. A long day for the City Council.